Do you know someone who has restless nights? They wake up sore in the morning with a sore neck? Or they have nagging neck pain or headaches that they just can’t shake off? 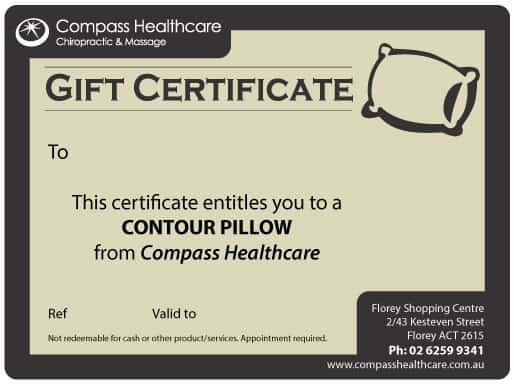 Maybe they need a new pillow and a contour pillow gift certificate would be the perfect gift.